Colonie Center is celebrating its 50th anniversary this Saturday afternoon. It first opened in November of 1966. A distinctive feature of each Homart center is the attention given to meshing the center with the mood and tempo of the specific community to be served. ... At Colonie, the country-club atmosphere has been retained with much of the architectural accent upon conveying the urban mood which is inspired by the booming growth of the Great Northeast. It's country clubby -- but, you know, with an urban mood. 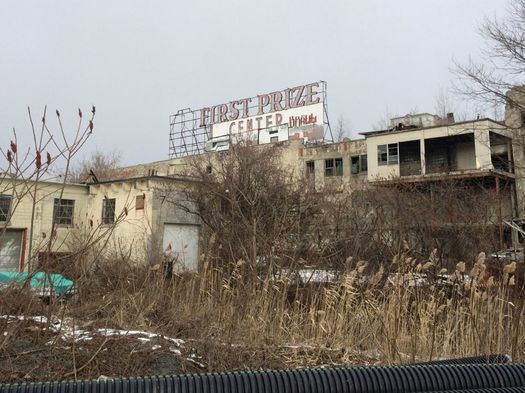 The First Prize Center is one of the most prominent sites in the Capital Region core. 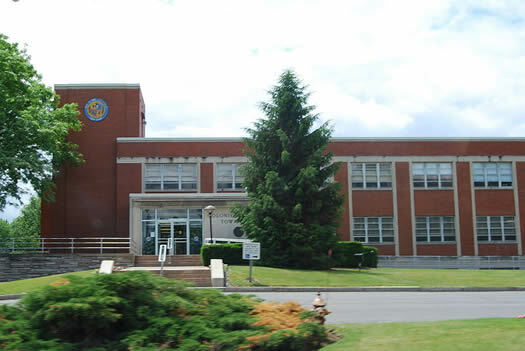 It sits on the border of Albany and Colonie, right alongside I-90. And even though it's been been crumbling for decades, multiple attempts to redevelop it over the years have fizzled. And now there's a new a plan: The development firm Richbell Capital announced Thursday its intent to completely replace the site with a large mixed-use development that would incorporate housing, retail, entertainment, and offices. 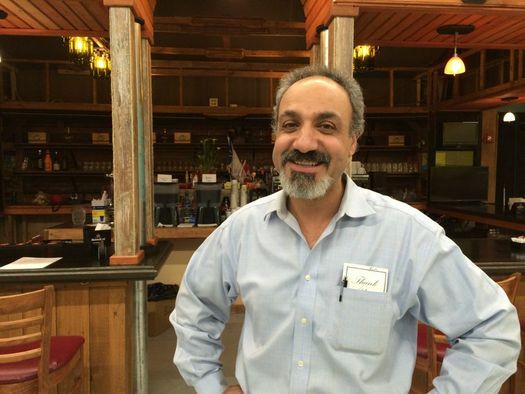 The new Phoenicians Mediterranean Palace recently opened on Fuller Road in Colonie. 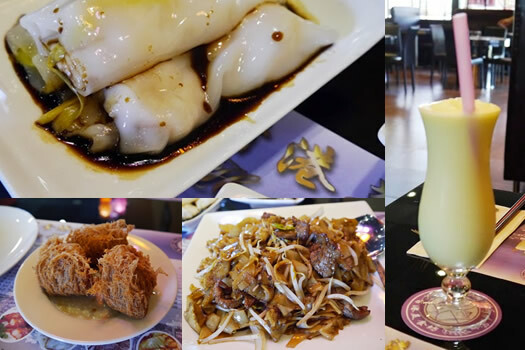 It's the successor to the Phoenicians Restaurant on Central Ave -- and it's big. The space itself is huge, and owner Robert Rahal has big plans for it. 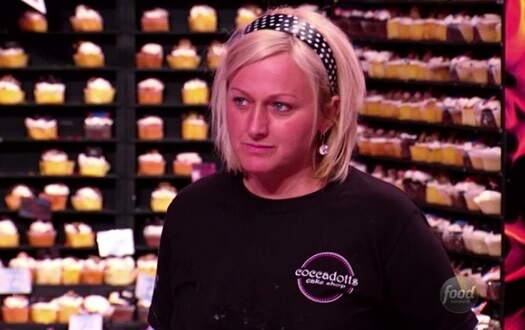 Coccadotts was back on the Food Network's Cupcake Wars this past weekend. And it won. The Colonie-based bakery came out on top of a "bad girls" WWE-themed episode. Coccadotts bounced back from a first-round setback in which the judges weren't on board with a chicken breast/yam/cinnamon cupcake, to make it through to the final round where the judges praised Coccodotts' flavor adjustments and its large display involving a wrestling "ring" surrounded by cupcakes sitting in the "stands." The ep aired this past Saturday. It will repeat this coming Friday (September 27) at 11 am. It's also available on-demand from Amazon Instant Video. Coccadotts says the winning cupcake varieties will be on sale in its shops today (it also has locations in Clifton Park and Myrtle Beach, South Carolina). It was the bakery's third shot on the show -- the first was in 2011, the second aired earlier this year. 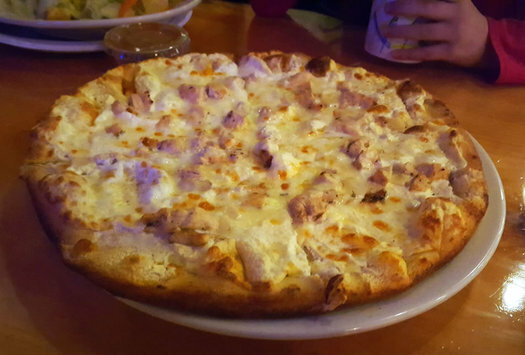 Coccadotts has been savvy about scoring attention and publicity over the years, not just through its Food Network appearances. Its Super Bowl-themed cupcakes -- including a Buffalo wing cupcake -- got it national coverage this past January. An everything bagel from back in May. We're still working on figuring out what the next steps will be for the Albany Bagel Company after the market closes. 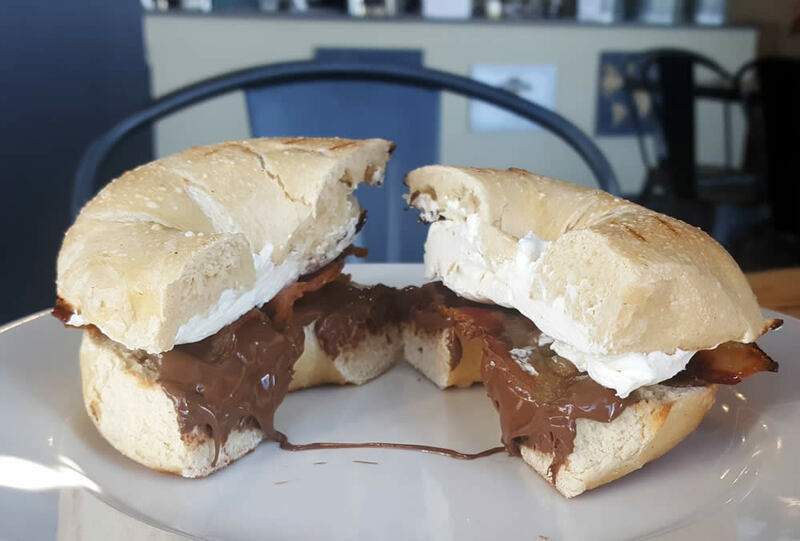 So while this probably won't be your last chance to try one of our bagels, it certainly will be your best chance in the near future. So come on out and grab a bagel on Saturday (9am-1pm). As a further incentive: we officially crossed the line into profitability last weekend. We donate 100% of profits to charity, so that means that from now on every bagel you buy will mean even more money being donated to charity (even before profitability we've been donating 10% of our revenue). ABC has an interesting backstory: it's the creation of Michael Dirolf, a software developer, along with his family and friends. They didn't have any baking experience -- they were just dissatisfied with local bagel options. So they spent a year honing a bagel recipe to resemble the bagels Dirolf had gotten in New York City. Back in May, shortly after the stand's debut, we stopped by to try a few bagels. And they were really good -- still warm from the oven, chewy, with a crackly outside. We especially enjoyed the everything version, which was nicely savory without the burned garlic flavor that sometimes accompanies an everything (ABC wasn't using garlic on its everything -- just onion). 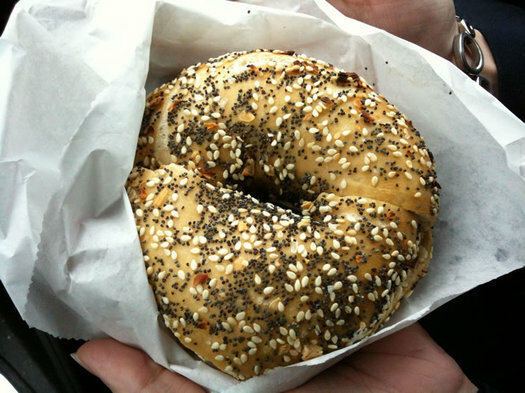 It was easily one of the best bagels we've had in the area. So, if you haven't tried them, yet -- here's your chance. Three more Saturdays. 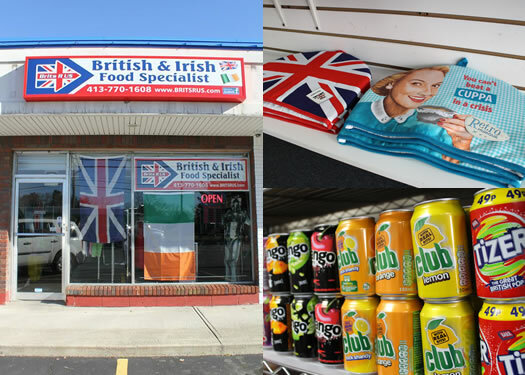 The Hong Kong Bakery recently moved from its location nestled in the front of the Asian Supermarket on Central Ave to 8 Wolf Road -- it's right at the southern end, across from Colonie Center between Cocca's Inn & Emperor's. Among the changes: Their menu has expanded, and they added "bistro" to their name. It's now the Hong Kong Bakery and Bisto. And it lives up to the bistro moniker -- there's a counter to pick up baked goods and drinks to go, and sleek brushed metal tables with glass tops for dining in. It's cozy, casual, and chic at the same time. Go for a power lunch, or show up with a book and sweats, and you'll be welcome all the same. Albany Bagel Co. everything bagels. Perhaps you are among the many who have been intrigued by the mysterious Albany Bagel Co., which appeared out of nowhere late last year. 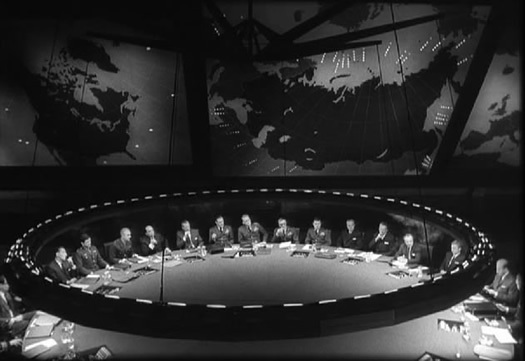 They have been tweeting, creating interesting maps of Albany, and teasing all of us with the promise of great bagels. Well, the wait is almost over. 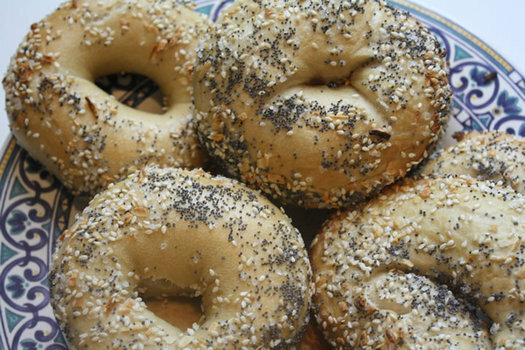 The Albany Bagel Co. will begin retail operations at the Colonie Farmers Market at the Crossings this Saturday. But who are they? Why are they doing this? And what can we expect when they finally start selling their bagels to the public? We talked with one of the founders to find out. Last night Life of Pi won the Oscar for visual effects -- thanks in part to a Cohoes company. Aquatic Development Group -- which designs and makes equipment for waterparks and pools -- made the wave tank used to simulate the ocean in the film (which involves the main character being trapped with a tiger on a life boat). It was installed at former airport in Taiwan, where the movie was shot. The photo above -- from a ADG press release -- is from the Life of Pi wave pool. During the acceptance speech, the Life of Pi effects team mentioned the tech "kept us from having to go out to the real ocean." Here's a TU profile of the company from this past November. ADG's tech was also used in Master and Commander and the 2006 Kevin Costner film The Guardian. The company has installed 90 percent of the wave systems in the United States, according to its website. For most people bowling is a hobby. A way to hang with friends, a reason to hit up the snack bar. 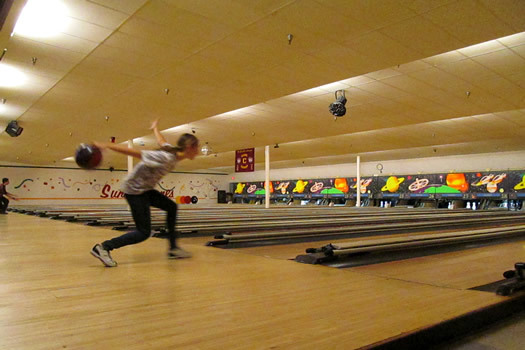 For a handful of local high schools, though, bowling is a sport. Columbia, Lansingburgh, Niskayuna, Schenectady, and RCS are among the local schools that have teams. 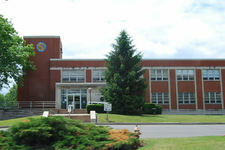 But the best of the bunch could be Colonie Central High School. The girls and boys bowling teams there have combined for three state championships (and one state runner-up) over the past three seasons. And they don't even get a pep rally. 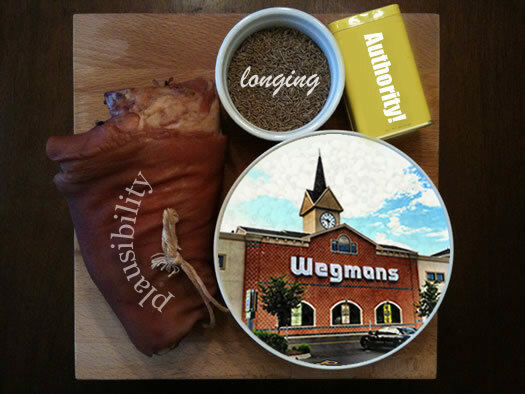 The recipe for a juicy rumor -- or, Did you hear the one about Wegmans and Albany? Hey, have you heard the rumor about Wegmans coming to Albany? At the Latham Circle Mall? At the First Prize Center? Variations of this rumor have been circulating since at least the beginning of the year. We've heard from it about 100 different people (an exaggeration, but not by much). And they all heard from a guy who knows a guy who... you get the picture. The latest version surfaced Tuesday and it goes like this: the big W has bought the Latham Circle Mall -- it's a done deal -- and Wegmans will start demolition/construction soon. Since then, we've watched search referral traffic for "wegmans albany" come rolling in. The word has obviously gotten around. Well, for what it's worth, Jo Natale -- a spokesperson for Wegmans -- told us today that the company has not bought the Latham Circle Mall property. A Whole Foods in San Diego. 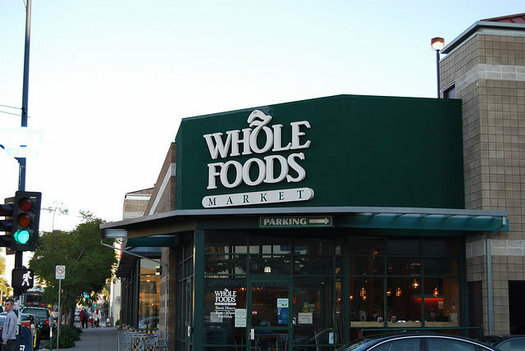 Whole Foods announced in its quarterly earnings report yesterday that it has signed a lease for a store in the Albany, New York area. The company also mentioned it on its Twitter feed. A spokesman for Whole Foods, Michael Sinatra, tells AOA the store will be at Colonie Center. He says the supermarket chain will be taking over a portion of the bottom floor of the Sears space there. The store is expected to be 32,000 square feet. Sinatra says the target date for the store opening is late 2013 early 2014. The store is still "very much in the planning phase." It will be Whole Foods' first store in upstate New York. Sinatra says the company already works with a lot of farms in this region. "We've had requests for sometime from that area, so we're excited to open there," Sinatra says. And in an follow up email: "Nothing in particular pushed us over the edge [in deciding to expand to Albany] other than tremendous support from the local community in having us come to Albany." 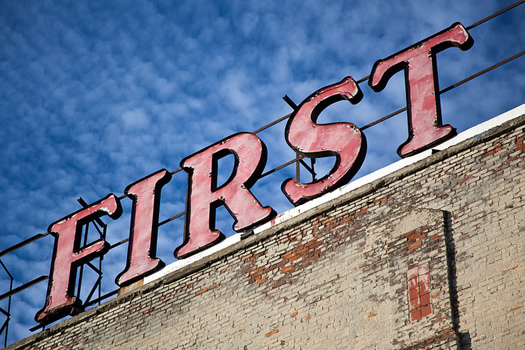 At tip of the hat to Business Review for first reporting the lease signing. The announcement prompts the question: What about Sears? Susan Spaccarelli, Colonie Center's marketing manager, told us this morning that Sears will not be leaving the mall -- but she couldn't share details because the mall has not received official confirmation of the deal. Spaccarelli said Sears owns its chunk of the mall, so any leasing deal would be between Whole Foods and Sears. A spokesman for Sears, Chris Braithwaite, tells us the company plans to continue on as usual at the Colonie Center location -- it's just that part of its space will be turned over to Whole Foods. He says it's too early to tell what the product mix will be in the reconfigured space. 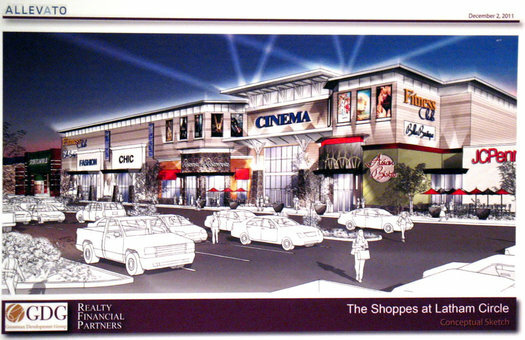 Braithwaite says the Colonie Center store is one of the bigger Sears, though he declined to share its square footage. Sears and Whole Foods have teamed up for a similar deal in at least one other location, in Greensboro, North Carolina. Either by coincidence or strategy, the Whole Foods will be going in just down the street from the new Trader Joe's on Wolf Road. TJ's hasn't announced when that store will open, but it probably won't be long -- the company has said it would be during this quarter. Another angle in all this: the local supermarket field is getting crowded -- and competitive. ShopRite is investing significantly in this area with two (eventually four) new stores. A Vermont-based market called Healthy Living -- which is a bit like Whole Foods -- is planning to open a store in Wilton. The relatively new Fresh Market in Latham has apparently been very well. The Honest Weight Food Co-op is looking to move ahead on its planned location in Albany. And the established players, Price Chopper especially, appear to be trying to step up their game. Wegmans could cause a mass medical emergency right now with any sort of nod toward this area. Thousands would probably succumb to supermarket hysteria-induced fainting. After the jump, much reaction -- a lot of it not positive -- from Twitter and Facebook. 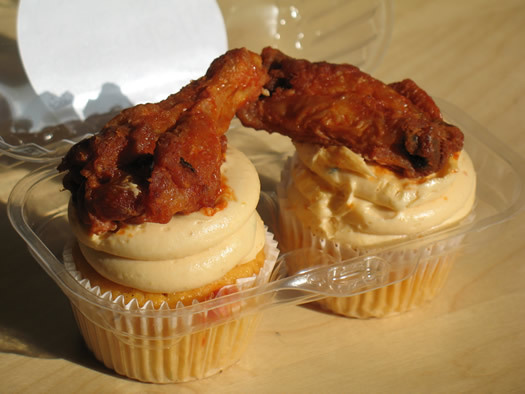 Buffalo wings and cupcakes together -- as nature probably never intended. When we heard this week that local cake shop Coccadotts was making Buffalo chicken wing cupcakes for the Super Bowl, we were intrigued. Because... Buffalo chicken wing cupcakes. It seemed unnatural, possibly wrong -- and perhaps, in some weird way, maybe kind of good. So we stopped by the bakery today to eat one. Today's wildlife moment: a posing fisher. This camera was ... in a slim strip of forest that connects 2 larger wooded areas (aka core areas). Our GPS tracking of fishers suggested that they used this strip as a movement corridor to get between the larger fragments, we are now testing that by setting cameras out. We've linked to it before, but here's Kays' "Scientist at Work" series at NYT about tracking fishers in Latham. The second clip, of raccoons "jogging" over a footbridge near the Hilton Garden Inn at ALB, is after the jump. The site of the soon-to-be Trader Joe's in Colonie. Trader Joe's has confirmed that it will be opening a store at 79 Wolf Road in Colonie. The company says the store will open during the 2nd quarter of this year. The grocery store will be approximately 13,000 square feet. Commence whatever ceremony you had planned. A tip of the hat to the Business Review's Michael DeMasi for first reporting the news today. And to the TU's Chris Churchill for first identifying the site back in November. 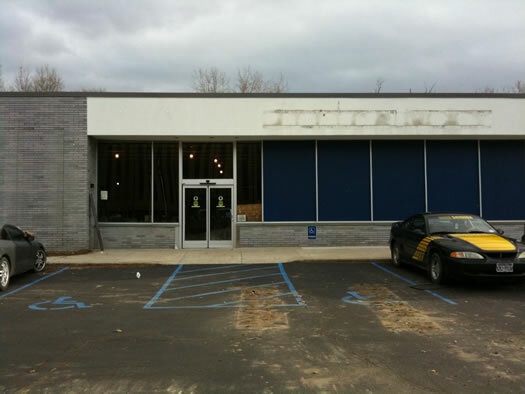 The strip mall where the TJ's is being built formerly housed an Office Max. When we stopped by last week to peek through the windows, the interior had been gutted to the dirt. A construction worker told us the space will be filled by a "a Chinese restaurant and a gourmet grocery store." The Wolf Road Trader Joe's will not be carrying wine, says TJ's spokesperson Alison Mochizuki. This isn't surprising -- in New York State retailers are only allowed one location to sell wine and liquor, and TJ's has one in Manhattan. 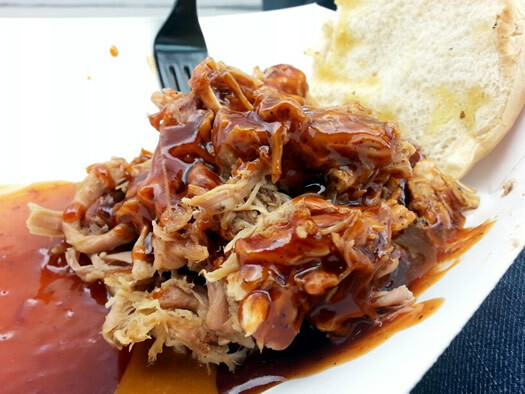 There's a lot of foodies in Albany! We consider ourselves the neighborhood grocery store and feel Albany is a wonderful community to be part of. Although it is very nice to be wanted, wooing doesn't go into our decision making processes of selecting a location. A man died during a struggle with Colonie police this morning at the Gold's Gym in Latham, as the Times Union reported. It sounds like there were a handful of people in the gym at the time, and a few firsthand reports have popped up online -- which describe a crazy scene. A string of her tweets describing the incident is embedded after the jump. Then he ran down the stairs, backwards mind you, and ran through the lower level of the gym, screaming and making a couple loops before going out the door. Somebody tried locking the doors after that, but he stormed back in, continuing on with his rage. Luckily someone managed to dial 911. Meanwhile, he went behind the front desk and into the office, trashing everything. He went back out into the gym, knocking over free weights, display walls, and huge weight machines. By this time, the police began arriving, with one of the first responders in being a woman. The enraged man spotted her and began going after her, so right as he went to approach her, she tased him. She reports it then looked like the man had a heart attack. The Troy Record reports the man got treatment for cardiac arrest, and both the Record and the TU report he was later pronounced dead at Albany Med. Everyone who pined for Chipotle, and longs for Trader Joe's and Whole Foods and Ikea* -- the gods of chain stores and restaurants are laughing at you. Hooters is coming back to the Capital Region. We had gotten a tip about this recently, so we emailed the company earlier this week. 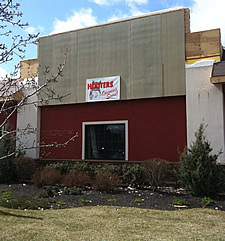 A spokesman confirmed the rumors -- a new Hooters is set to open at 70 Wolf Road, maybe sometime in June. The site was, most recently, a Fuddruckers. When we drove by today, a crew was working on renovations. *Yep, we'd count ourselves among that number. Update: No sooner do we hit publish and skim our Twitter feed, do we see that Chris is on top of this -- he rightly notes that the new Hooters will be across from the "Hooters of haircutting." It's like Target, only ... more. It's Supermarket Week on AOA -- a whole week of posts about shopping for food. Because we all have to eat. Time was, if you were stuck having to pick up something for dinner at Target, that meant grabbing some bread and some mediocre cold cuts, or maybe chicken strips and frozen veggies. Things have changed a bit over at the Colonie Target. Changed like green curry with shrimp and sugar snap peas over jasmine rice, plus a green salad with cranberries, balsamic almonds and fresh tangerine slices. That's what I made for dinner after going to Target earlier this week. Target's food offerings have expanded. At the end of March, the Targets in Colonie and Wilton opened what they call "PFresh departments," an expanded grocery section with produce, meat and baked goods. 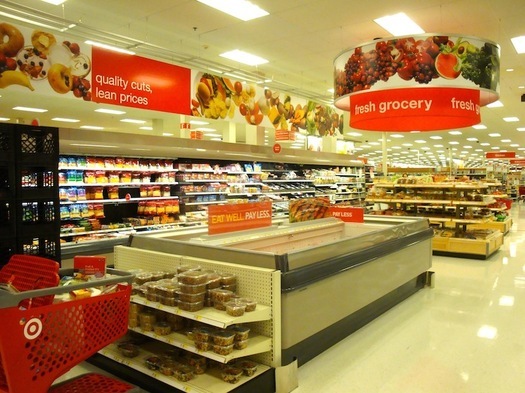 Targets in Latham and East Greenbush will get PFresh departments this summer. I went over to the Northway Mall Target to check it out. 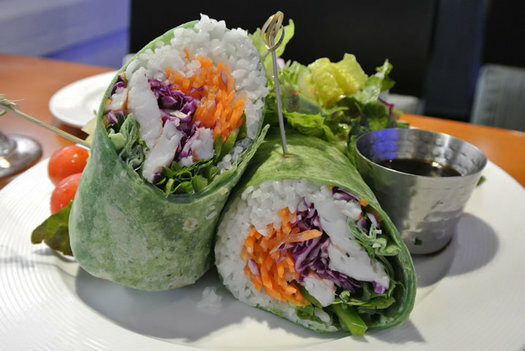 A snack that eats like a meal. This year I joined the mass of Americans that makes a New Year's resolution to become fit and healthy. 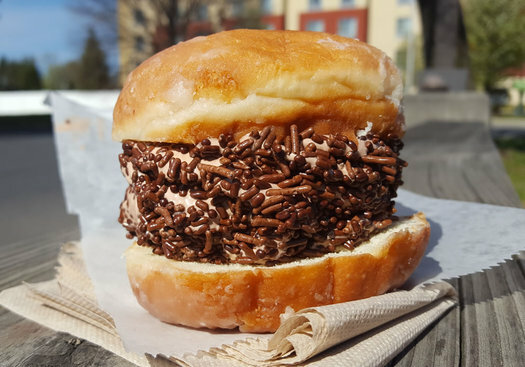 I recently reached a fairly minor milestone, so I figured I deserved a "cheat meal." But I couldn't figure out how to reward myself without going completely overboard. 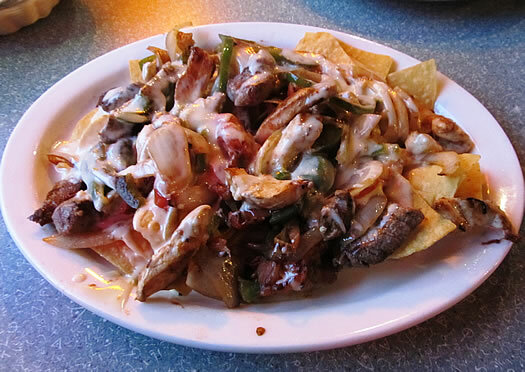 So I gave my brother, my accomplice in overeating, a call; he reminded me of the mixed fajita nachos at Pancho's Mexican Restaurant in Colonie. The nachos consist of the same ingredients in a fajita platter spread over freshly fried corn tortilla chips and covered with copious amounts of melted white cheese. 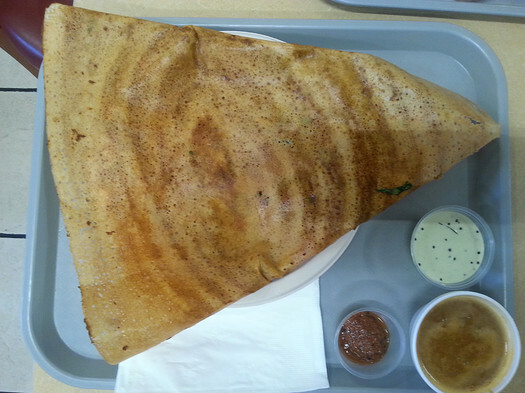 The portion is plentiful and is easily enough for a hefty snack for two. That was it. I was going to Pancho's to order my very own plate of mixed fajita nachos. The cupcake bus and truck for Bettie's Cakes have made appearances all over the Capital Region, but the only place you could be sure to find the bakery's cupcakes anytime was in Saratoga's Downstreet Marketplace. Until now. Bettie's is opening up a location in the food court at Colonie Center. So, what is the preferred glue for sticking a figurine to one's hood? 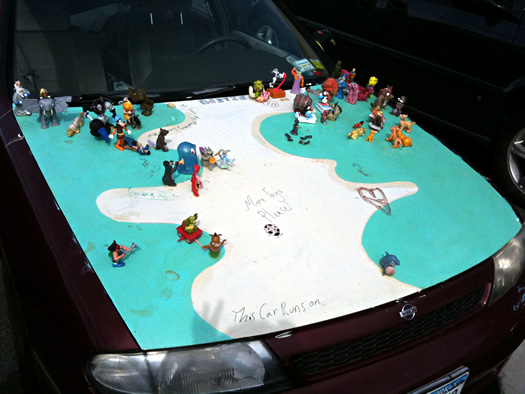 While we're on the subject of art cars: we passed this car in the parking lot at Colonie Center this past weekend. It's a compact Nissan with with figurines stuck to the hood. And the trunk was covered in chalkboard paint, with an accompanying bin of chalk. People had written messages all over the trunk (among them: "Freakin epic car dude!!!"). The new spot on Central Ave. The entrance is in the back of the building. After Lou saw that Dnipro -- the great little Eastern European market -- had moved from Cohoes to Colonie, he decided to swing by and check it out. The mystery of 1830 Central Avenue, finally solved. So, for about as long as we can remember, every time we drive past this building at 1830 Central Ave (near Kohl's) we look up and ask ourselves "What the heck was that?" The building has looked vacant for the longest time... but it's really kind of cool looking and we guessed it might have been an old theater of some kind. We guessed wrong. The other day we saw an open sign hanging in the window. So we did a little happy dance and detoured into the parking lot. Al-Tro Park: "Pleasure Island" in Menands. 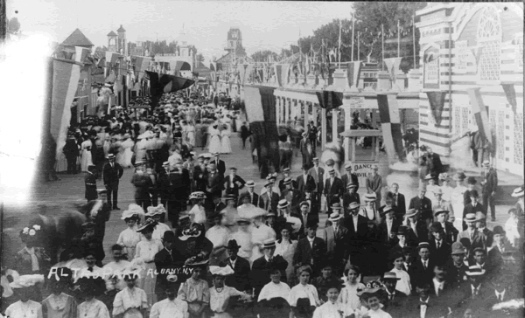 A century ago, Albanians looking for summertime fun didn't get in the car and drive for hours to a Six Flags or a water-park. They got on board a trolley car or steamship and headed to Menands to find the finest in 19th-century entertainment. Every animal needs to be identified and given a clean place to stay with food and water. A photo is taken of each cat and a record is created. Each cat then needs to be examined by our medical director, Dr. Sarah Madaio. 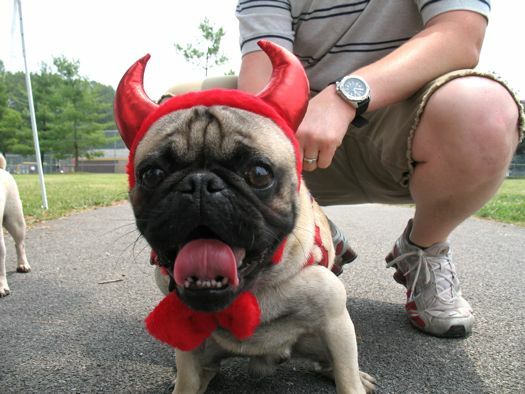 You are probably familiar with a normal veterinary exam, just like the one your pet would get at her annual exam. Vets may schedule about 20 minutes for a 'healthy pet visit' - an annual exam in which your pet is coming in for annual vaccines, but may not have any other medical issues. Suffice to say, all of these cats had medical issues. So our veterinarian set up with two assistants to start the exam process that would last for days. America's first permanent Shaker settlement was founded in what was once Watervliet, and is now Colonie. 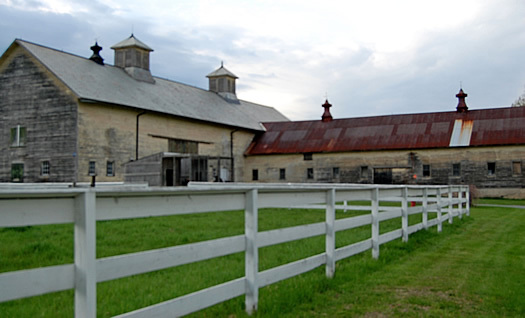 You might be familiar with the well-preserved and historic landmark Hancock Shaker Village in Western Massachusetts (not to mention its cute baby animals), but you might be surprised to find out the first American Shaker settlement was built right here in the Capital Region. The Watervliet Shaker National Historical District, settled in 1776, is a stone's throw from Albany International Airport (it's right across Albany Shaker Road). Some of the site's buildings and the museum are open for self-guided tours, but lucky for me the Historic Albany Foundation and Shaker Heritage Society let me tag along on a recent and seldom-conducted guided tour. 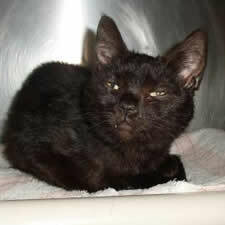 The Mohawk & Hudson River Humane Society reports that 52 cats were recently taken from a woman's home in Colonie. It says there are indications she may have been been keeping as many as 66 cats at the house. The society says the woman has turned herself in to Colonie police and is facing animal cruelty charges. The org describes the situation as a case of "animal hoarding." It says none of the cats are currently healthy enough to be adopted. If you're dropping off your return near the deadline, make sure you hand it to a USPS to get it postmarked. Update for 2012: This is still the post office of last resort, but it's only open until 8:30 pm. The post office at 30 Karner Road in Colonie is the post office of last resort for procrastinating tax filers. 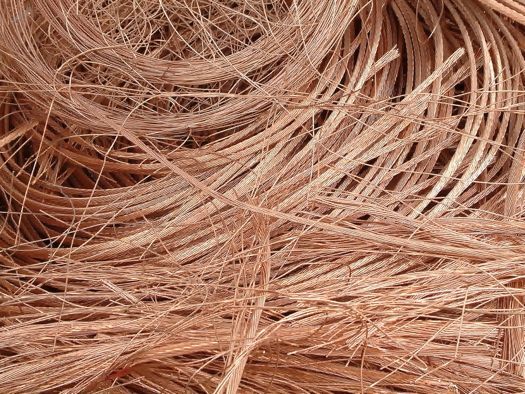 The branch, which is connected to the mail processing facility there, will be open until 11:59 Thursday night. 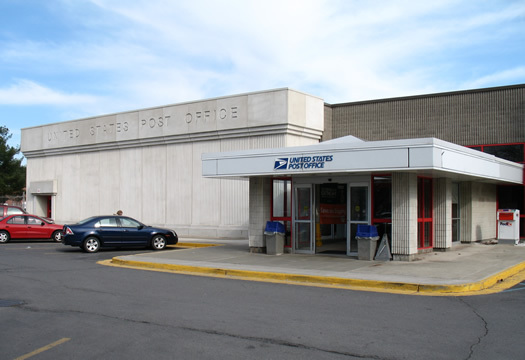 Bonus spot: the Colonie Center post office will be open until 8 pm -- which, as it happens, is its normal closing time. David Paterson is scheduled to release his 2010-2011 budget proposal today. 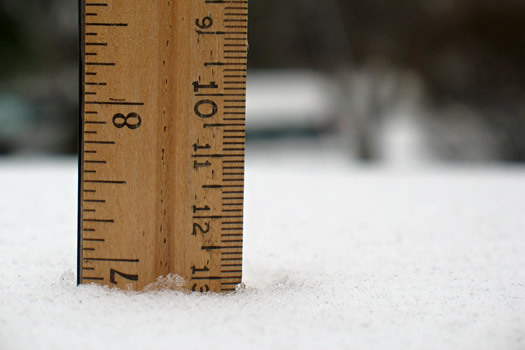 We got just about 7 inches at the uptown office. Colonie is not a city. There's a town, and a village, but no city. He is, of course, correct. We would argue it doesn't make much difference in this context. The list ranks areas of local jurisdiction with populations larger than 75,000 -- it doesn't really matter what you call them (whether it makes sense to rank municipalities in this way is a whole other, worthwhile discussion). But substituting "municipality" for "city" would make the sentence more accurate. This got us wondering about what exactly differentiates a city from a town in New York State. So we looked it up. The place to find procrastinators Wednesday night. The post office at 30 Karner Road in Colonie is the post office of last resort for procrastinating tax filers. The branch, which is connected to the mail processing facility there, will be open until 11:59 Wednesday night. 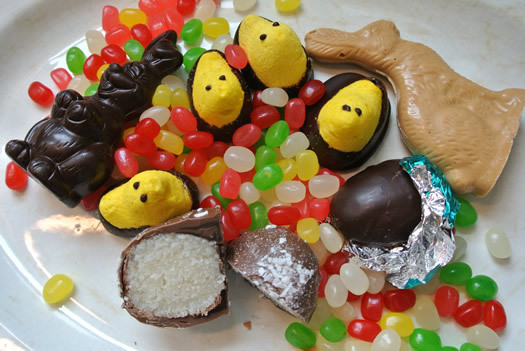 Bonus spot: the Colonie Center post office will be open until 8 pm. Note: the TU's site wasn't loading this morning. Onetime habitat of the rare diamond dog. 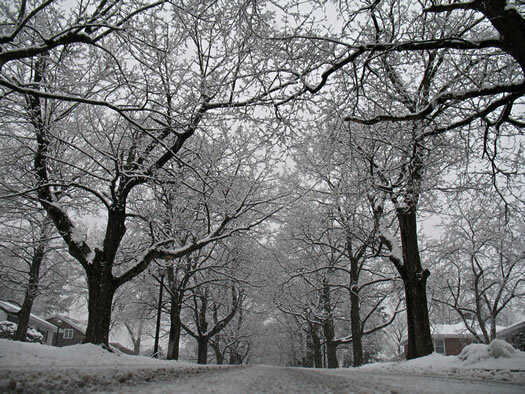 Check out these photos of Heritage Park by Flickr user dougtone. It's kind of remarkable how overgrown and rundown the place looks now (the pics are from this past summer). 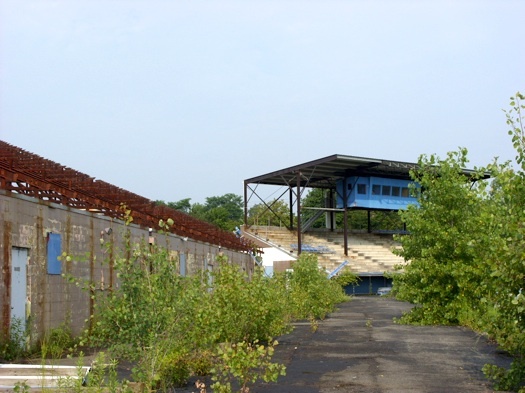 The Albany-Colonie Diamond Dogs were the last regular tenant of Heritage Park. The independent league baseball team dissolved in 2002. These photos -- and the stadium's condition -- reminded us of The World Without Us.